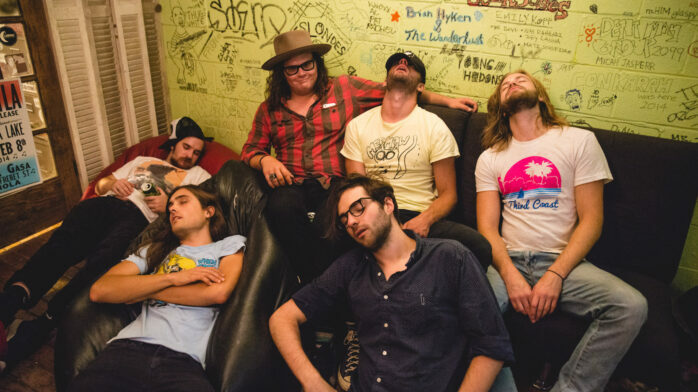 Nashville six-piece Diarrhea Planet has become a fast rising rock band in recent years for their mix of high-energy, pop-influenced tunes laced with various metallic, alternative, and trippy overtones. Despite their gross out moniker—which serves as a firm (?) reminder on those days the news/current events get you thinking thinking we live on a shithole of a planet, that things could always get shittier—their music is distinctly upbeat and fun. In March this year, Diarrhea Planet released its third record, Turn To Gold, and have basically been on the road ever since. Somewhere along the way, drummer Ian “Tuff Gus” Bush found time to answer our 10 Questions. Check them out below (and take note of his book and festival survival wisdom). 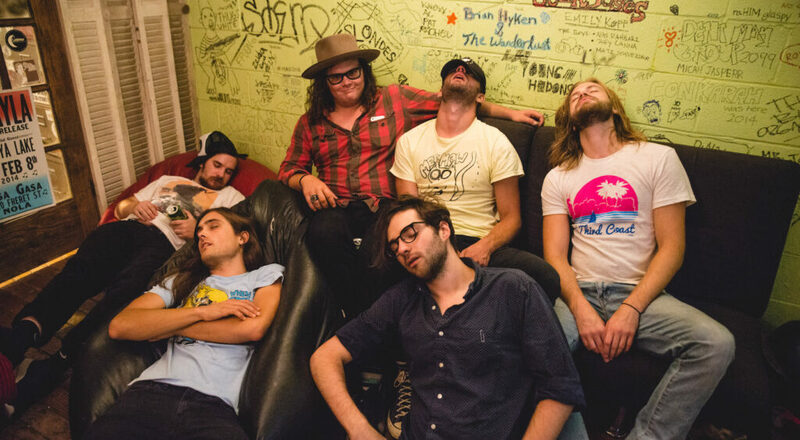 Diarrhea Planet plays Riot Fest & Rodeo on September 2 and Riot Fest & Carnival on September 16. Metallica’s Ride the Lightning. Bought it in 3rd grade at the FYE in the mall. Wisconsin’s own Blueheels. Still one of the tightest bands I’ve ever seen. Watching them in high school solidified my dream of playing in a band. Tom Petty & the Heartbreakers, when I was in the 2nd or 3rd grade. I went with my parents and brother and [we] left early because my mom was convinced that I was getting a contact high. The last concert I attended was Project Pabst fest in Portland. We played early in the day and it allowed us to see Hop Along, Unknown Mortal Orchestra, Drive Like Jehu, Ween and Tame Impala. I was bummed, though, because I missed Tenement. My all time favorite snack is a large Topo Chico and Zapp’s Voodoo Heat chips. However, that snack is a true rarity on the road. My second go to would be Smartfood White Cheddar popcorn. Nobody should only read one book. My Top 3 would be East of Eden by John Steinbeck, The Long Halloween by Jeph Loeb and Tim Sale (in my opinion the best account of Batman written to date) and The Hobbit. Drink lots of water and never mix psychedelics with redbull vodkas. I would never under any circumstances ever run in a US Presidential race. Call all my loved ones then take my motorcycle and try to drive the entire Natchez Trace as fast as I can. I think “Sugar Mountain” by Neil Young is one of the best songs ever written. It’s a beautifully simple song about growing up that almost anyone can relate to. It tears me up almost everytime I hear it.